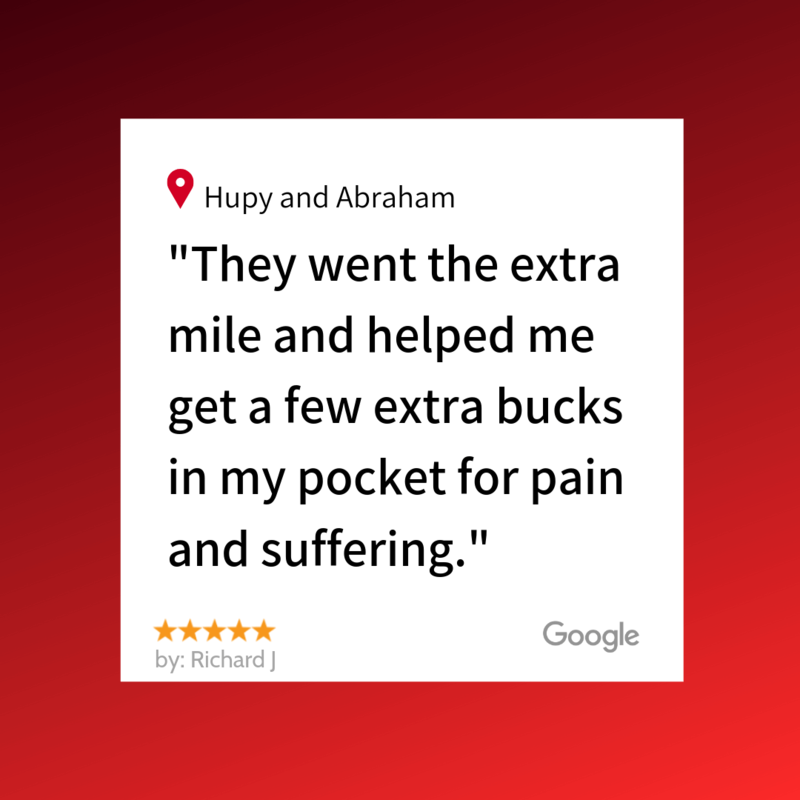 I am grateful to them and would recommend to anybody for services | Hupy and Abraham, S.C.
"I am grateful to them and would recommend to anybody for services." Hupy and Abraham really did a great job on my case. I thought I was only going to get just my medical bills covered, but they went the extra mile and helped me get a few extra bucks in my pocket for pain and suffering. I am grateful to them and would recommend to anybody for services.